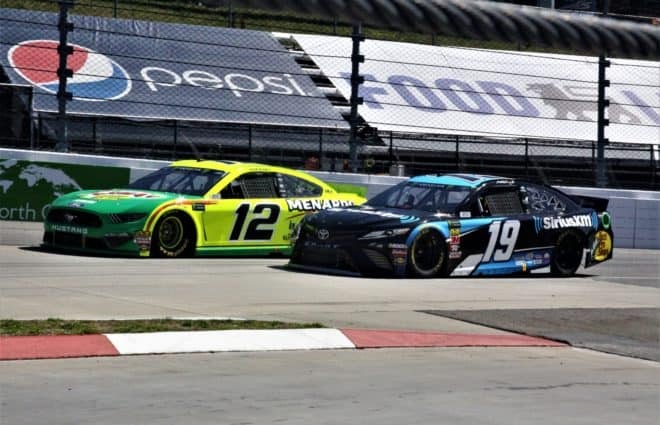 Following an unusually uncompetitive day Sunday at Martinsville Speedway, Martin Truex Jr. was among the many who left the half-mile disappointed. 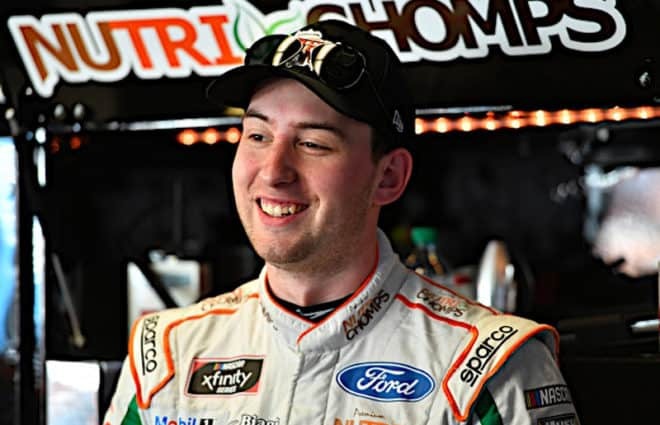 Managing only eighth in the STP 500, the first-year Joe Gibbs Racing driver was unhappy with the higher downforce package used over the weekend, saying it complicated passing on the year’s smallest track. 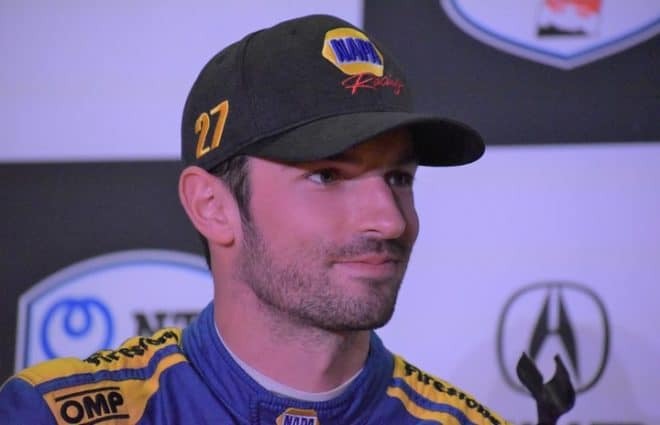 Truex believes no change was necessary for the short track races, as the recent competition and thrilling finishes at the small tracks speak for themselves. 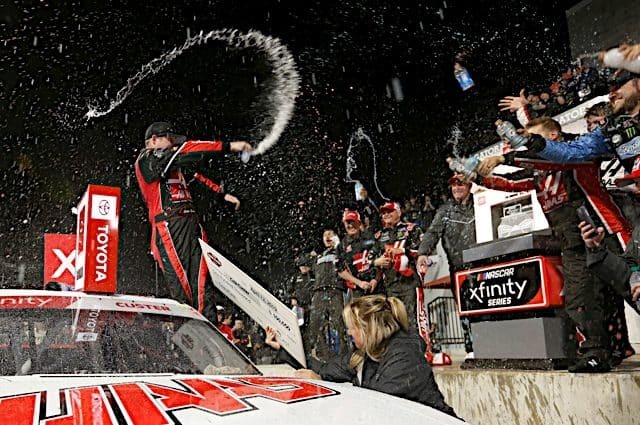 Truex’s opinion is backed with the numbers, as Sunday saw only three lead changes, tying the least at Martinsville since 1961. And though the circuit doesn’t return to Martinsville until October, the tough passing conditions could return soon, said Truex. 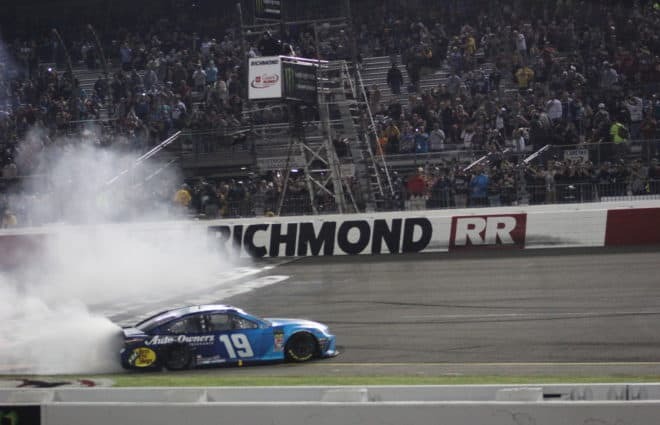 Brad Keselowski did nearly that, leading 446 of 500 laps toward his second win of 2019. Though Truex has yet to drive into Victory Lane with JGR this year, the 2017 champion is happy to have top-five speed to start the year. Next Up to Speed: Another Season on the Bubble for Daniel Suarez? Sour grapes. 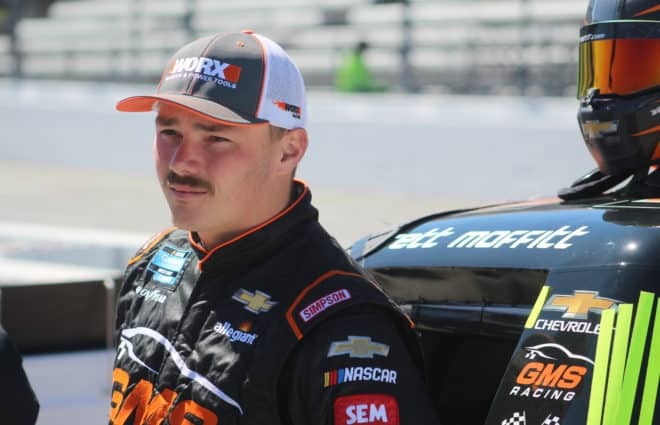 I don’t buy aero as being a big deal at Martinsville, kripes they’re only doing 60-70 mph in the corners, you’re not making much downforce at those speeds. I remember the graphics showing 59mph at the slowest point in the turn and 118mph at the fastest part of the straight away. I agree about the lack of downforce. I usually find something worth while in all the races, but this one was boring, follow the leader. I remember you couldn’t get a ticket to this race. A lot of empty seats for a beautiful day. Same dribble from the whiner. Just this time he did not say “I had the fastest car and I should have won”. 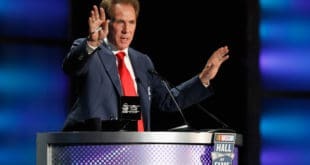 He always says that when somebody wins and led much more laps than he did. Shadddupppp Marty! 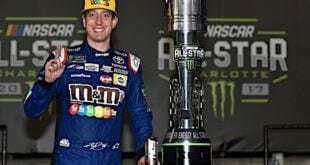 Why quote this clown who has been in Cup for what 14, 15 years and has not won at a short track. Yeah, quote the expert. Lol. Marty the short track ace speaks. Why bother quoting him at a short track ! Brad figured it out Marty, so did Clint. I bet the racing would have been just fine if he’d won.